In a recent debate at Oxford, the Congress politician Shashi Tharoor delivered a bravura performance, arguing that Britain owed reparations to its erstwhile colonies. Speaking in front of a small audience, his good-natured verbal joust took wings thanks to the enormous reach of the internet. Indian accolades for Tharoor seem to have little to do with the implications of the argument he made. Rather his speech has been cheered for the vicarious pleasure it afforded. While the sun set firmly on the British Empire many decades ago, we have never lacked in apologists for the Raj who deployed time-honoured tactics in rebutting the argument that British rule was an unwelcome experience for many. Thus, unmindful of the inherent irony, some have mocked Tharoor for delivering his indictment of colonialism in a ‘plummy’ English accent. Others used a play that is straight from the Perry Anderson school of history. They acknowledged the iniquity of Empire, but rapidly moved on to the horrors inflicted on independent India by the Congress that Tharoor represents in Parliament. It were as if history was a somewhat macabre, additive game where the sins of some cancelled out those of others in the past. The passage of time since 1947 has induced a temporal and psychological distance between contemporary India and its colonised past. As a result, many are able to deploy arguments that either extol British rule or diminish its depredations by trading on our ignorance. This problem can be most easily showcased by looking at the story of India’s economic exploitation during the Second World War. A number of recent books have shed light on India’s experience of the two global wars of the twentieth century, but a clear understanding of their economic impact is confined to a few scholars and not yet part of our public understanding. Nevertheless, while the blood and gore of war or the horrors of famine are easier to recognise, the devastation wrought by large-scale financial manipulation is no less significant. By the dawn of the 20th century, the drain of India’s economic wealth took on many complex forms. However, the veneer of financial sophistication was dropped in times of an emergency. For instance, when Britain incurred heavy expenditure during the First World War (1914-18), the colonial Government of India was most sympathetic to the Crown’s economic predicament. In a fit of generosity, it presented an outright ‘gift’ of Rs. 190 crore of Indian taxpayer money to the British exchequer! An additional expenditure of Rs. 170 crore was borne by India towards the deployment of its army in various theatres of war outside the country. In 1931, the debt owed to Britain by India was said to be about Rs. 1000 crore. At that time, the Indian National Congress argued that much of this amount was incurred by Britain in furthering its own interests. Based largely on the work of the Gandhian economic philosopher and constructive worker, J. C. Kumarappa, the Congress argued that the principle of natural justice would wipe out all of this debt and more. Therefore, it held that the future debt to be borne by a free India had to be subjected to the scrutiny of an impartial tribunal. The British political leadership and press roundly denounced this rather moderate position and treated it as a treacherous ‘repudiation’ of India’s obligations. By 1945, the equation was reversed as was the British view on the sanctity and honour involved in paying one’s debts to the last penny. It is often remarked that the Second World War converted India from a debtor to a creditor nation. Strangely enough, sometimes this view is proffered as a matter of pride for India. But such a bland characterisation of India’s economic history during the War period masks the devastation wrought on the country and its people that was a result of the transformation of India into a creditor of Britain. Wars have a ravenous appetite and a global war simultaneously fought on multiple fronts could not be an exception. Therefore, Britain decided to help itself to Indian resources with no consideration of its effects on India itself. These resources included vast amounts of food, timber and other raw materials and, most important of all, some 2 million Indians as soldiers. The resources that Britain obtained from a poor India were comparable or exceeded that provided by an increasingly prosperous United States. While American materials were provided after Britain signed an agreement on Washington’s terms, the Indian story was rather different. Britain coveted India’s resources but did not want to pay for them. As a result, in lieu of payments for goods and services drawn out of India, Britain held promissory notes that were to be redeemed in the future. This is akin to a customer walking into a grocery store and clearing out the shelves. But instead of paying cash, he writes out a note promising to pay up later. Moreover, he decides to keep this note with himself for safe custody! This is the rather simplified but accurate story of India’s Sterling Balances. But if Britain deferred payments, the goods had to nevertheless be purchased in India against a cash payment to individual sellers. It is here that the Reserve Bank of India stepped in to the aid of London and printed a large amount of currency. Thus, between 1940 and 1942, the amount of money in circulation in India more than doubled. The result was an average rate of inflation of a whopping 350%. Rapid and sustained economic inflation is a most regressive form of hidden taxation as it severely and disproportionately penalises the poor. Such inflation coupled with all-round scarcity of goods had a devastating effect on life in India. While the millions of deaths in the Bengal Famine of 1943 was a grim consequence of British policy in India, it was only the grisly tip of a vast iceberg of countrywide sorrow and hardship. 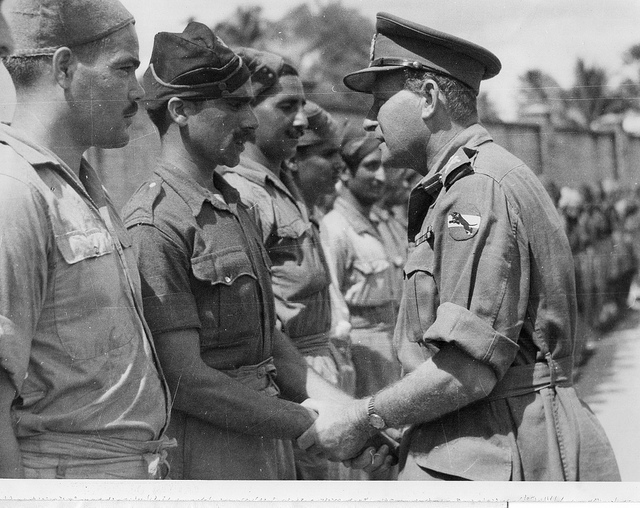 By the end of the war in 1945, Britain had to finally reckon with the problem of its debt to India and other countries. Thus, while in 1931 it had insisted on the importance of servicing one’s debt, by now British opinion had turned ‘repudiationist’ and advanced a variety of arguments against full payment. This, as a British campaigner for India’s freedom, Reginald Reynolds, argued, was much like the Great Indian Rope Trick – the debt kept growing upwards till it disappeared! Britain agreed to pay a debt of Rs. 1600 crore but other calculations showed a rather different figure. In 1947, Kumarappa estimated that the Indian share of the costs of deployment of its soldiers was Rs. 1300 crore. A similar amount of Rs. 1200 crore was spent in expenses pertaining to the war. He argued that these and other costs ought to be borne by Britain, which led to a figure of Rs. 5700 crore which was many times larger than the British figure of Rs. 1600 crore. Britain, Kumarappa asserted, should not be allowed to be the debtor as well as the judge and the jury and he lobbied for India and Pakistan to demand an impartial international tribunal on the matter. In the event, India failed to push for such an international settlement and the British view prevailed much to the detriment of independent India. It is well recognised that the 18th century saw the growth of British power on Indian soil and the concomitant loot of India’s wealth. But the story of India’s economic exploitation did not stop till the very end of colonial rule in 1947. Those wishing to argue against even the moral burden of Britain’s colonisation of vast tracts of the world may wish to reckon with the facts of India’s devastation in the 1940’s. In any event, regardless of whether Britain believes it owes reparations, there is a salutary lesson here for India. 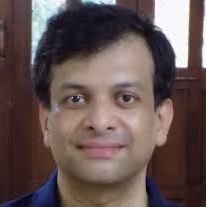 As has been argued elsewhere, if we believe that India is owed something for its exploitation by people from distant lands, so do some Indians to others. We may begin with recognising that the Government of India’s policy of reservations was originally a small gesture of reparations towards Indians who have been at the receiving end of social and ritual oppression for centuries. Indeed, most Indians who participated in the freedom struggle believed that British rule of India was as immoral as was the institution of caste. The writer is a Bengaluru-based academic and a co-author of a forthcoming biography of J. C. Kumarappa.